Motorboat: Acquired by the Navy 20 August 1918; Returned to her owner, Saul Streiffer of Gulfport, Mississippi in December 1918. Fate unknown. Specifications: Displacement unknown; Length 25'; Beam unknown; Draft unknown; Speed unknown; Complement unknown; Armament unknown. 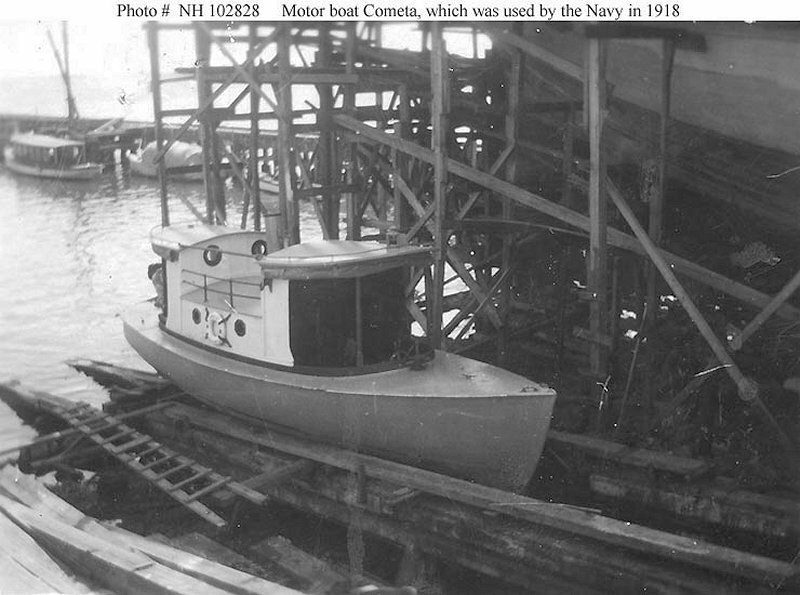 88k Hauled out of the water, circa 1918 or before.